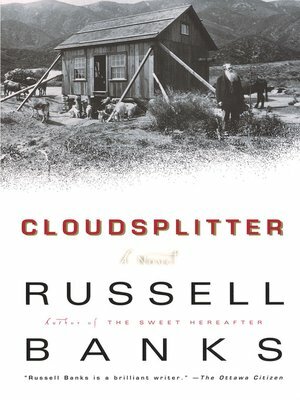 A triumph of the imagination, rich in incident and beautiful in its detail, Cloudsplitter brings to life one of history's legendary figures--John Brown, whose passion to abolish slavery lit the fires of the American Civil War in a conflagration that changed civilization. Russell Banks is the author of 12 works of fiction. He has received numerous literary awards, including the Literature Award from the American Academy of Arts and Letters. He lives in upstate New York.